Simple installation and remove quickly. Easy to clean. Universal fits for most cars/buses/vehicles/lorries/trucks. A great replacement for the old and damaged wiper rubber strips. Rubber, Flexible Soft Layer Design (Reduces reduces noise for silent wiping). Made of rubber material, long lasting durability and high temperature resistant. 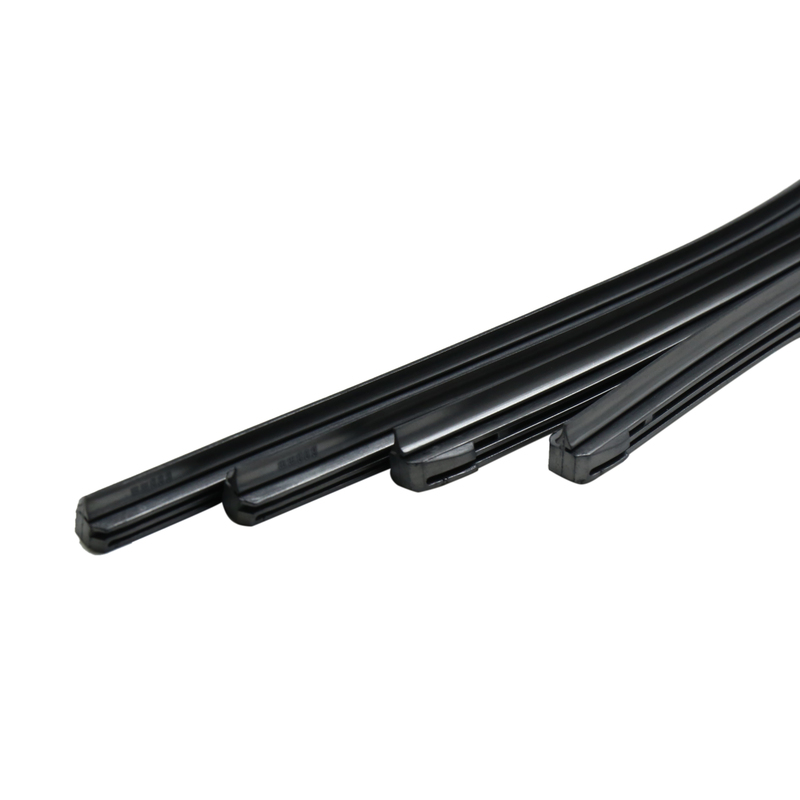 The bracketless soft wiper rubber strip can improve wiping capabilities in rain, freezing weather. Note:Please check the size of the strip before purchasing! This item contains rubber wiper strips only, not include wiper arm/bracket.